The rail company, NS, said that its involvement in the deportations "is a black page in the history of our country and our company." In a written statement, the rail company, NS, said that its involvement in the deportations "is a black page in the history of our country and our company." "For us it is important to put care ahead of speed," he said. More than 100,000 Jews — 70 percent of the Dutch Jewish community — did not survive the war. Most were deported from the Netherlands and killed in Nazi concentration camps. But that was not enough for Salo Muller, a former physiotherapist with Amsterdam soccer club Ajax whose parents were sent by train to the Westerbork camp in the eastern Netherlands before being transported to Auschwitz, where they were murdered in the camp's gas chambers. "What this means for me is that the NS sees that the suffering is not over; that very many Jews are still suffering," Muller said on Nieuwsuur. "That is why I am so happy that they now see, on moral grounds ... that reparations will be paid." 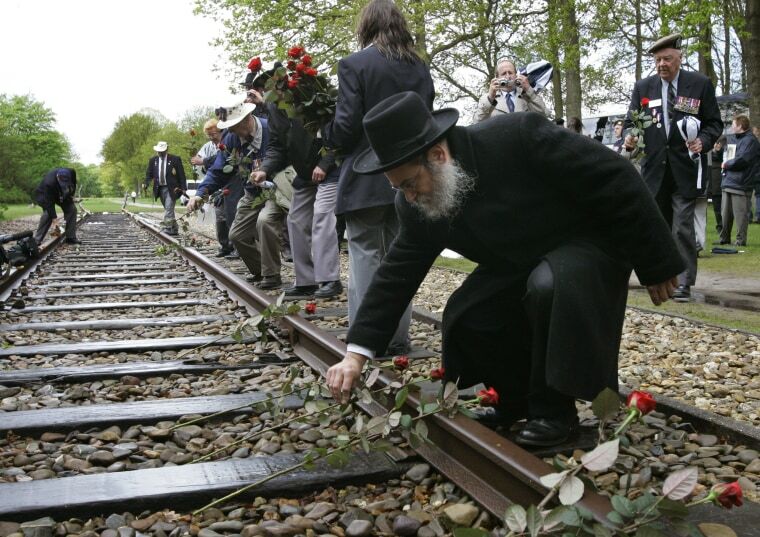 French railway company SNCF also has expressed regret for its role in transporting Jews during World War II. The railway acknowledges that SNCF's equipment and staff were used to transport 76,000 Jews to Germany. SNCF has argued that it had no effective control over operations when France was under Nazi occupation from 1940 to 1944. France's government has paid more than $6 billion in reparations to French citizens and certain deportees.